For Melbournians peering out of their windows today, the glorious weather we basked in this weekend past will be but a distant memory. Awaking today expecting more of the same, our hopes would have been dashed around 11am as the heavens opened big time! NOT that the people of this great city (voted Most Liveable City…again. Sorry Sydney.) are strangers to battling through 4 seasons in one day; can you remember a dry Grand Final Day in living memory?! Tough folk, sensible folk, savvy folk who know how to protect themselves against the elements. Take this screen shot from Fed Square’s webcam this afternoon. 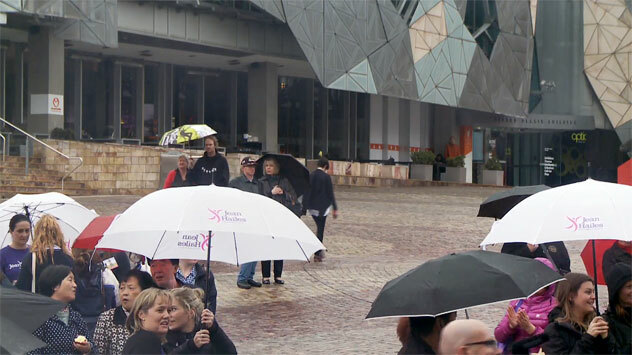 On a day such as this, the streets are awash with Umbrellas – Jean Hailes’ organisation is obviously switched on enough to issue printed promotional umbrellas to staff and worthy recipients, as can clearly be seen here. Melbourne’s Fed Square during Monday lunchtime. To anyone unsure of the benefits of branding umbrellas, consider the value of providing something of inherent benefit to your target market, then mark it up with your logo and call to action, release where you anticipate most use (generally in the southern states during winter, northern in The Wet) and sit back in the knowledge that you are actively promoting during times of need – you’ll become a solutions provider! Scotland where it’s supposed to rain….often. 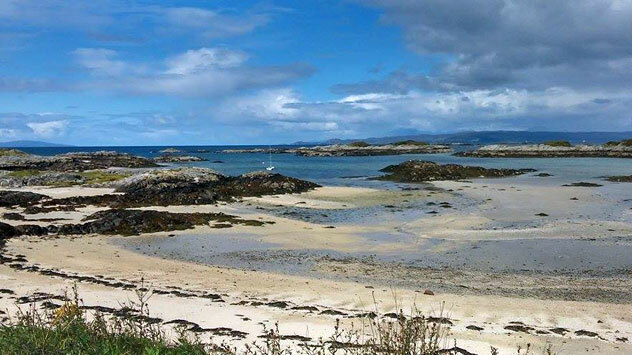 Like Melbourne, the unpredicability of Scottish weather will make a liar of you every time (SMS to Scottish relative: Hello Hamish, could you go down to the beach and take a picture for a Blog post I’m writing? Tx). 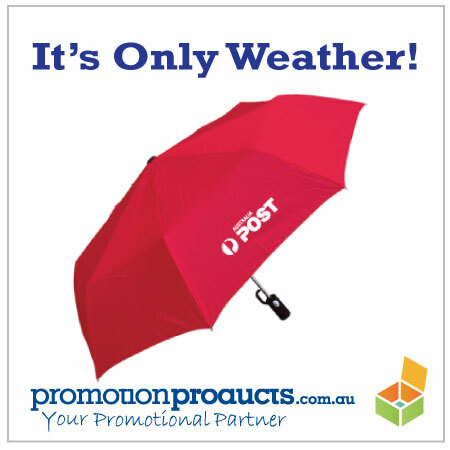 This entry was posted in Promotional Items and tagged umbrellas by admin. Bookmark the permalink.